Last weekend we had about an hour to pack up and get out of dodge for a little car camping by a classic Montana lake. Excellent. But would my veggies rot in the fridge over the weekend? No way! I packed mini onions, scallions, scapes, spriralized zucchini, and a whole head of lettuce in the cooler before heading for the lake. I also grabbed my Italian sausage and taco seasoning blends knowing that with those in hand, everything was going to taste amazing. For the record, I made tacos one night and spaghetti (with a mix of zucchini noodles and regular noodles) the other. Salad for both. I thought I would share my taco seasoning recipe with you because man, it's goes in more than tacos. I use it in soups that are beef based, tacos, veggies. . . I've used it as a rub before. My go to in the winter is this kitchen sink soup by Sarah Fragoso. I use the taco seasoning on the shelf instead of what she has listed (which is pretty much the same thing). It also uses herbs and spices that should be staples in your cupboard. Put it all together in a large bowl, blend with a spoon or whisk, and put in an air tight jar for storage. Label with spice blend name and date. Mason jars make great storage containers for your spices! It is that time of year when herbs are beautiful and abundant. Cut some now and dry them. You can do it by turning on your oven to 250 degrees and drying them for around four hours or hanging them (out of the kitchen's greasy influence) for a few weeks. Here are a few more ideas from Mother Earth News. I also enjoy blending freshly dried sage, thyme, oregano, or basil with coarse salt, in a 50/50 ratio. Great for meat and veggie seasonings on the fly. 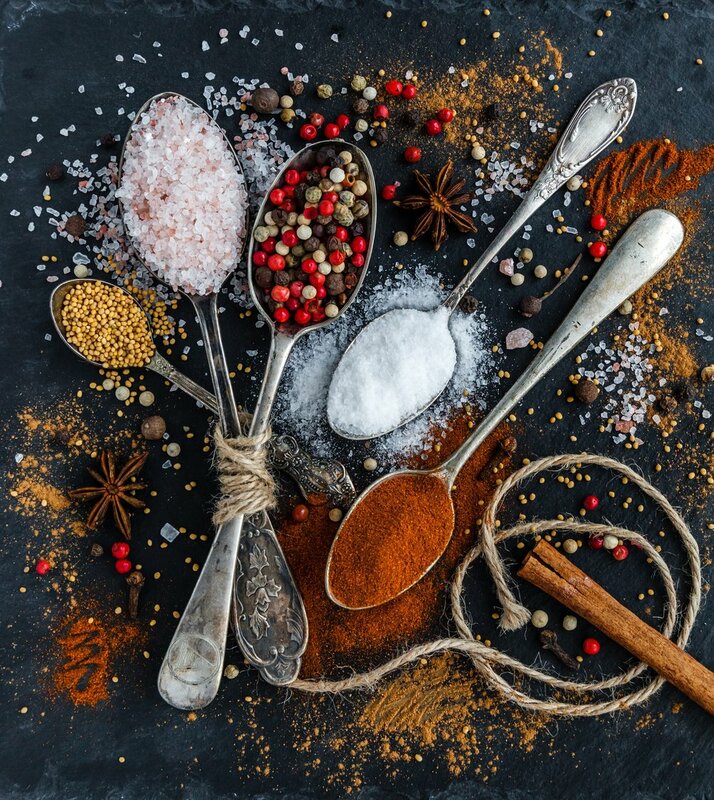 What are your favorite spice blends?